Hey guys, I decided to make my first skin. I love the helmets of Darryn Durham which he wore 2011, and I like the Shoei, so i tried to do my best and make a replica of his Bell Moto 9 Volcom helmet from Tagger Designs on the Shoei. I know that I have to learn a lot, but it was fun for me, so it's not so important for me if it's not good. Kording: Without you I wouldn't even have done this! *Fix*: Now it has the correct name. 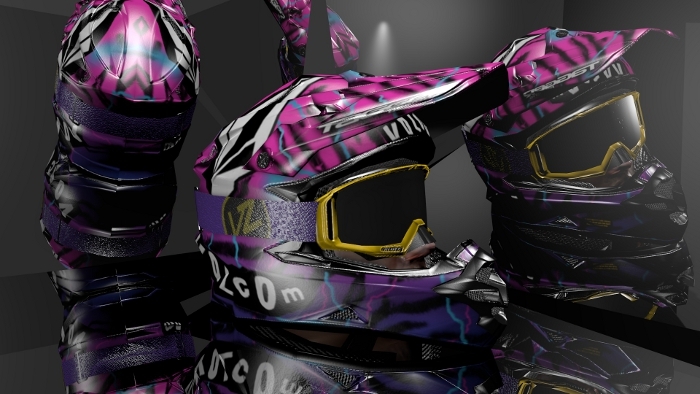 so sick love this helmet! !